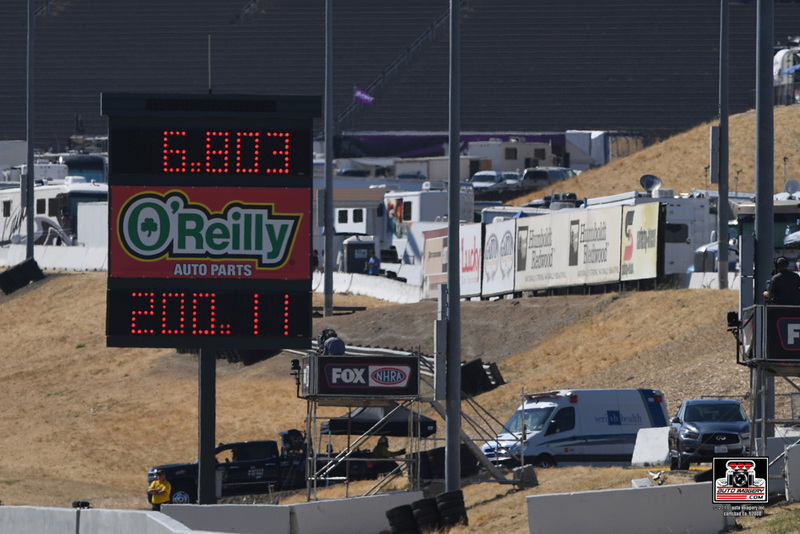 Team Arana would conclude their NHRA Western Swing with a new track speed record to go along with first and second round finishes at the NHRA Sonoma Nationals. One week removed from claiming their first win of the season in Colorado, the team came into Sonoma Raceway looking to go back-to-back and Arana Jr. would kick the weekend off in spectacular fashion. 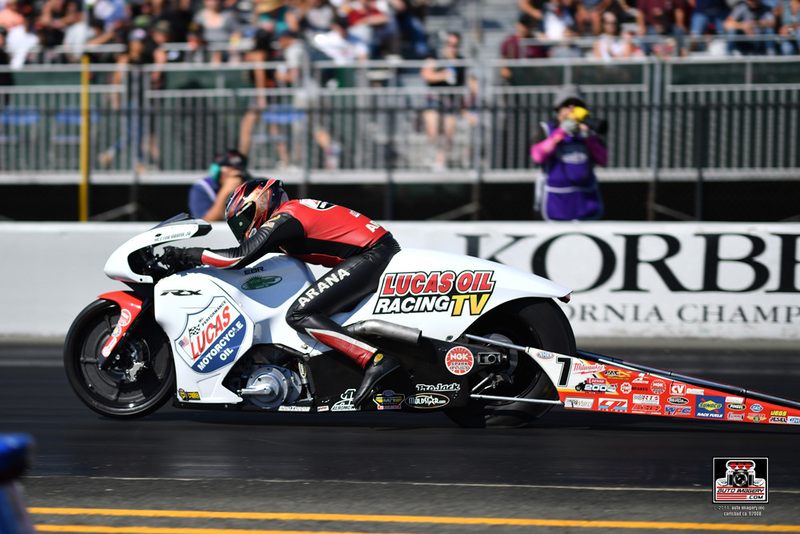 Jr. would run 200.11 mph to set the track speed record in his first qualifying run with the Lucas Oil Racing TV EBR and earn the number 2 qualifying position. Jr. would maintain that position after running another 200 mph pass in session 3 and an elapsed time of 6.775 seconds in the final session. 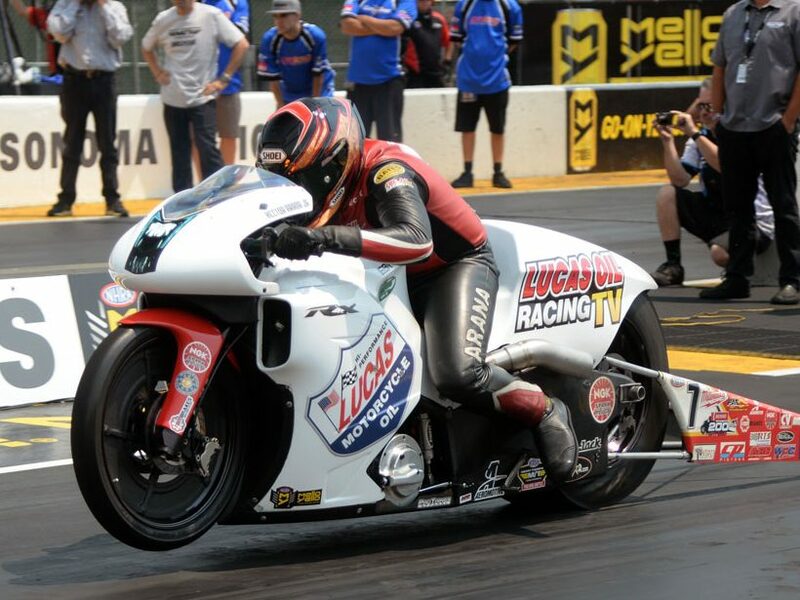 Teammate Hector Arana Sr. would also qualify solidly in the field, slotting the Lucas Oil EBR into the ninth spot on the ladder with a pass of 6.861 seconds. While the team was able to set a blistering pace in qualifying, race day wouldn’t be as kind. 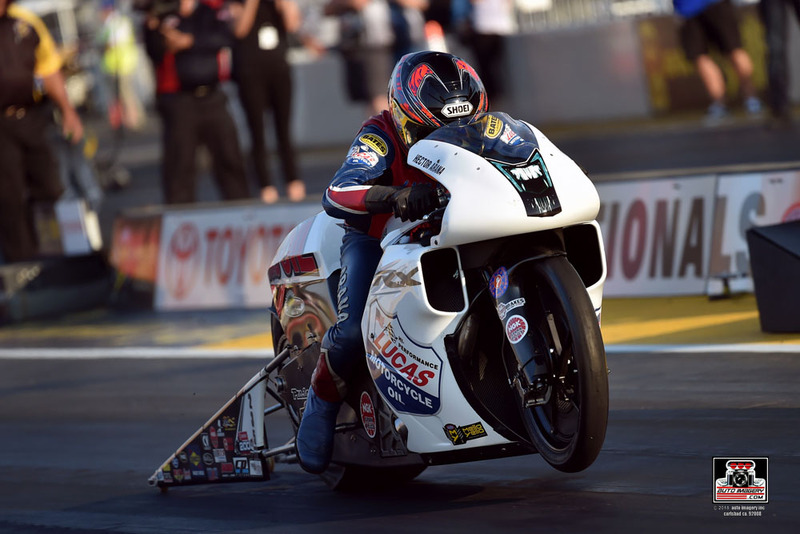 After setting top speed of the meet with his third 200 mph pass of the weekend in his round 1 win over Angelle Sampey, Arana Jr. would match up with Jim Underdahl. Despite grabbing the holeshot and looking to be on his way to a sure round win, Jr. would experience a problem during his run and end the day with a second round finish. Arana Sr. would also experience a short day, going out in the first round in a close race with Jerry Savoie. 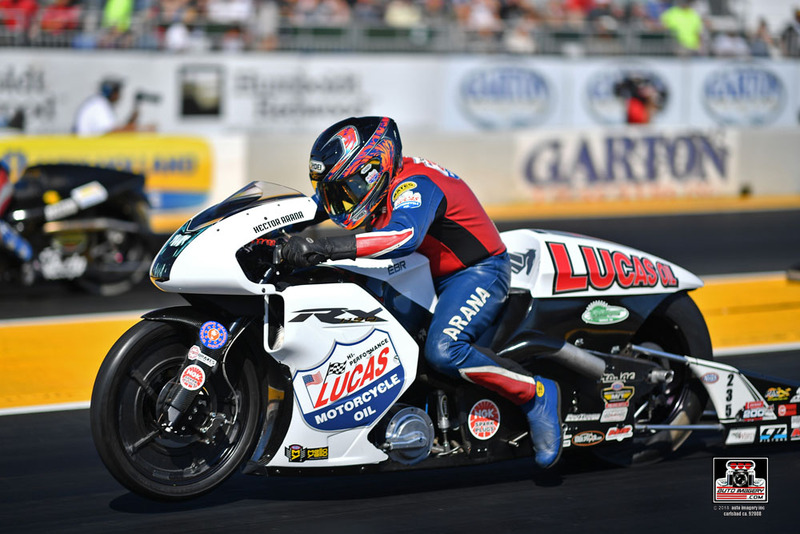 The NHRA Pro Stock Motorcycle class gets a short break before heading to Brainerd International Raceway in Brainerd, Minnesota for the Lucas Oil NHRA Nationals on August 16-19. For tickets and information, visit NHRA.com or brainerdraceway.com.